How do you write a boring novel about a hot/smart spy chick? By putting too much non-spy stuff in it, that’s how. Serena had a relatively normal upbringing with Dad (to whom she refers as “Bishop”), Mom, and one sister. She meets a dude. They start dating. She can’t figure out why he doesn’t get as much enjoyment out of their extracurricular activities as she does (as my brother would say, she would have benefited from the “Oh, honey [your boyfriend is gay]” service). She moves on to old, married professor guy. Old, married professor guy takes her on weekend jaunts to his woodsy getaway, where he broadens her horizons. Under his tutelage, she begins to read newspapers, becomes well-versed in verse, and learns to scavenge for porcinis (and enjoy them in delicious dishes). Turns out, old, married professor guy is priming her for a job with MI5, where he worked years ago (As an aside, if you’re curious about the difference between MI5, where Serena works, and MI6, where James Bond works, then here is a handy chart!). It’s the late-‘60s/early-‘70s, so she begins her career at MI5 in a lowly position standard for women. Soon, she is asked to join a special project: Sweet Tooth. Sweet Tooth provides stipends (through a front organization) to writers likely to produce capitalist-friendly fare. Her mission: to recruit Tom Haley, an up-and-comer who has written articles about the Berlin Wall and the East German uprising of 1953. His focus now is his fiction–he has written a small collection of short stories replete with twists and tricks. Tom’s twisty, tricky writing is not Serena’s bag. She “instinctively distrust[s] this kind of fictional trick” and believes firmly that there exists “an unwritten contract with the reader that the writer must honor. No single element of an imagined world or any of its characters should be allowed to dissolve on authorial whim.” She’s not impressed by writers “who infiltrate their own pages as part of the cast, determined to remind the poor reader that all the characters and even they themselves [are] pure inventions and that there [i]s a difference between fiction and life.” She wants “no tricksy haggling” in her reading. But Tom’s writing grows on her. And so does Tom. Soon they are a couple. Tom is now a Sweet Tooth writer (unbeknownst to him), and as he and Serena become more and more serious, it becomes harder for Serena to keep the Sweet Tooth secret from him. That’s the set up. I won’t spoil the book for you. But I will tell you that this is a book that ends with a big plot twist. The twisty ending is worth some discussion. As I was reading, I saw clues, clues, clues galore (none of which I will mention, of course). So, for me, the ending was predictable. I got the feeling that this was intentional—it seemed like McEwan was guiding you toward the twist. My impression is that the “fun” he had was planting those clues, crafting the book just so, and finessing its style. I tend to be in Serena’s camp when it comes to plot twists and tricks. They usually come off as silly or just plain campy (Gone Girl springs to mind). And, more often than not, they’re utterly predictable. But this book’s “surprise” ending is a bit different. Rather than a traditional “holy crap!” plot twist, it felt like McEwan wanted you to be in on the game. And I liked that. But there’s still one major problem with the book: there is one good, long stretch that is straight-up BORING . Things really don’t get going until at least halfway through. And that’s a lot to slog through for a plot-twist ending. Who should read it: People who liked Gone Girl, but wished it was smarter and more British. One final, unrelated note: Thursday will be the debut of the Favorites Series. While I’m on a brief sabbatical, guest bloggers will be posting about their favorite books. 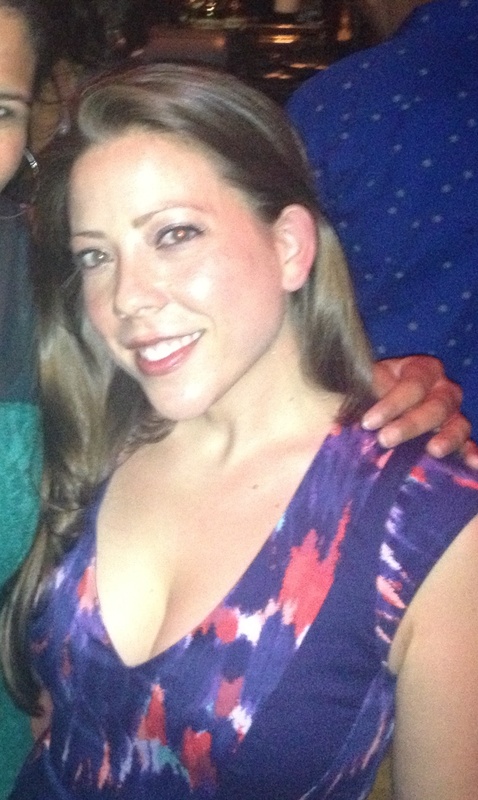 First up, the lovely and wonderful Lindsay Gressard will discuss Like Water for Chocolate. Stay tuned! And thank you, as always, for reading IKWYSR! 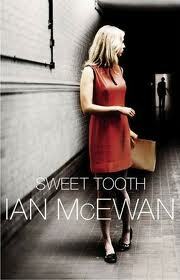 This entry was posted in Rating: 2.5/5 and tagged Book review, Books, Ian McEwan, Plot twists, Sweet Tooth. Bookmark the permalink. I agree with you about this book. Got to the end and thought “Oh, that’s a clever ending.” But I also thought it took a lot of plodding through not very interesting stuff to get there. P.S. That’s how I imagined she looked too. Only more British. A nice review. I like McEwan, in a tepid sort of way, but I don’t like boring. Plus, your photo is not nearly boring enough to be suitablly connected to the book. Well, thank you, good sir–on both counts. As for your assessment of McEwan, I agree completely. If you skip this one, you won’t be missing much. Thanks for the heads up. Funny thing: I’m about 1/3 of the way through Pynchon’s new book Bleeding Edge and it is surprisingly readable and entertaining. It is also hit or miss with him. Sometimes I just shake my head and assume he only gets glowing reviews by those who feel they will get kicked out of their literary guild if they don’t praise him to the heavens. But so far, I’m actually enjoying it quite a bit. When you’ve finished, let me know if you’d recommend it! Here’s my Pynchon review. I’d recommend it but people are so hit or miss with him that it is hard to predict. It helped that I could read it and not feel like I was illiterate, something that’s happened when I’ve read or tried to read his other books.